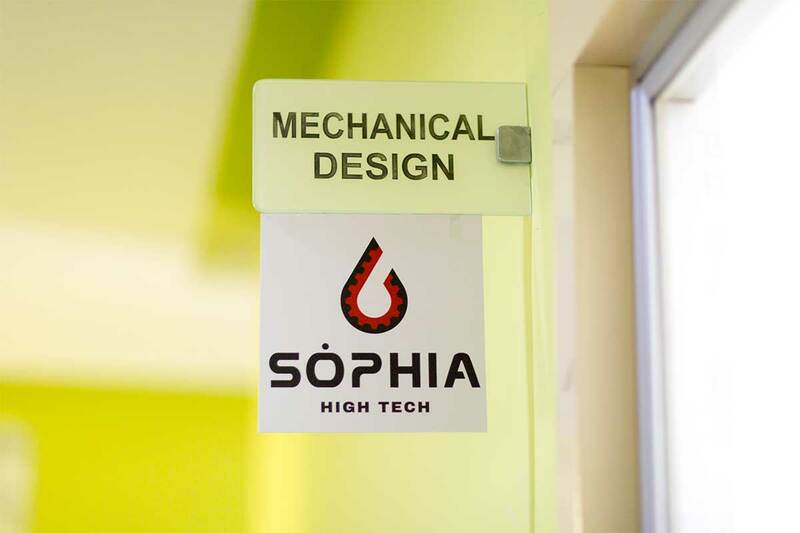 The mission of Sòphia High Tech is to support companies in the engineering sector, concerning the full range of issues associated with product design, development and industrial production. Sòphia also provides consulting on site, using the “high skills” of its own technical resources. To develop their talents, the company emphasizes strong values: respect, ambition and courage. These values allow the group to meet and overcome the difficulties for better cooperation and interaction. The training and competence center, located in Marcianise (CASERTA), allows to train young graduates in talents whose know-how can be made available for our partner companies, in the development of their projects. Every day, we concretize the most complex projects of our customers increasing their performance. This is possible thanks to our expertise in technology and processes. Sòphia High Tech is certified UNI ISO 9001 (quality management systems), EN 9100: 2009 (valid for the design, development and manufacture of systems and services in aviation, space and defense). Sòphia pursues a balanced and strategic development policy on an international scale.